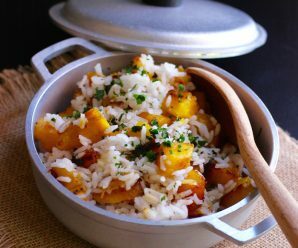 Tajadas de Plátano maduro are one of the most popular side dishes in Colombia. 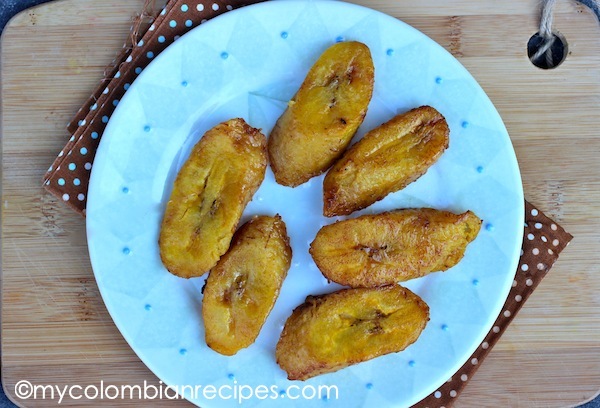 If you follow this blog you may have noticed that Colombians eat plantains prepared in every form imaginable and this way is delicious and simple to make. 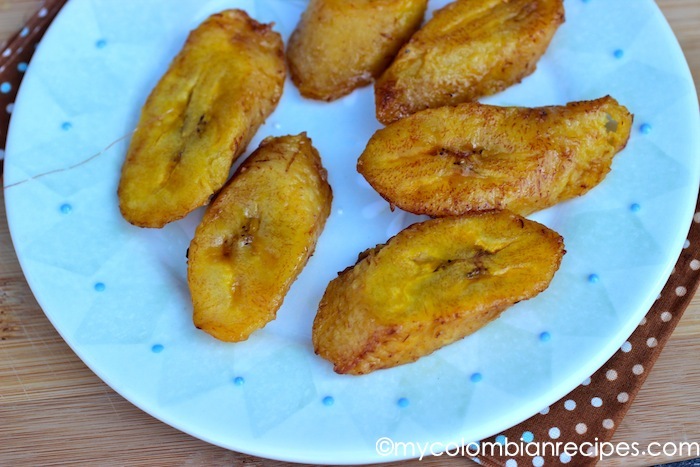 Remove the plantains with a slotted spoon and transfer to a plate lined with paper towels. Serve warm. These appear at Farmer’s Market and I am never sure what to do with them. Now, I have bookmarked this and they are finally coming to my kitchen! You’re speaking my language, plantains! omg! 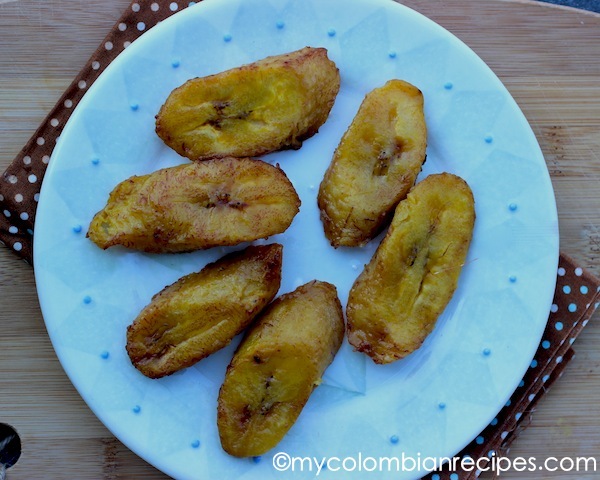 i thought i was the only 1 who loved plaintains! me and my aunt make them every year on the holidays or just a random day! we also make empanadas! 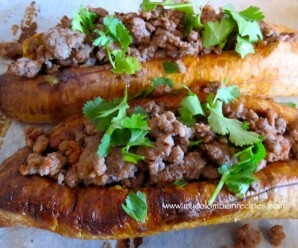 yum i love plaintains! VIVA LA PlATANOS!!!! 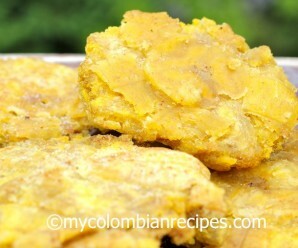 I am of Colombian decent on my mothers side. I have finally had the earge to return to making platanos. I am excited to cook them myself for once. Glad to find this site with the recipe because it is hard to remember from watching my abuela make these when I was a kid visiting them in SoCal. My family loves tajadas de platano. 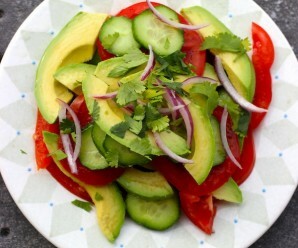 You can also put some cheese on top, or cut it in cubes and spread some sugar on top. 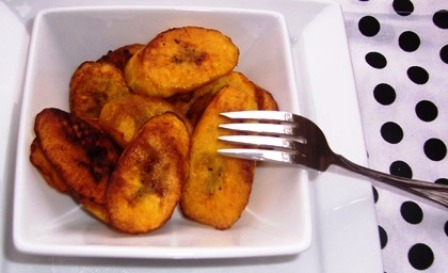 I’ve tried to make plantains on my own can’t seem to get them right… Growing up my mom prepared them perfectly, sweet and firm. Mine come out kind of soggy. Any suggestions?